Toyota Care is the after-market team that help us look after you as soon as you become a part of the Toyota family. Encompassing Toyota service, genuine Toyota parts and accessories, as well as the Toyota Warranty; Toyota Care helps us keep you on the road. Nearly all new Toyota’s come with a 3 year / 100 000km warranty that covers you against manufacturing or mechanical defaults. You can extend this to 6 years / 220 000km with the Toyota Genuine Extended Warranty cover. A value-added product that supports your motoring needs by breaking down your service costs into part of your monthly payments on your new Toyota. It covers all manufacturer specified services for the duration of your plan, up to a maximum of 7 years / 200 000km depending on the options you take. This is the only maintenance plan backed by Toyota SA. Instead of unplanned motor expenses, which can happen even with the quality of Toyota vehicles, the Toyota Maintenance Plan offers a fixed-cost option that covers all costs for fair wear and tear. This is for items like tyres that need to be replaced during the life of your vehicle. If you’re not in the market for a new Toyota, we’ll help you care for and maintain your old one. Your Toyota is no less deserving of your care and attention than anything else in your life. We offer Toyota approved quality parts and extensive warranties for trouble-free driving enjoyment. 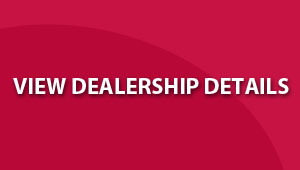 Please look below for more information and our Parts and Service Departments. The warranty includes new cars, and used cars as well as warranties on paintwork and against rust penetration as well as warranties on original parts, original accessories and workshop repairs.